This steak taco recipe gets extra flavor from a black bean and salsa paste and fresh toppings. This Beef. 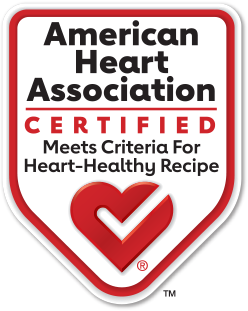 It's What's For Dinner recipe is certified by the American Heart Association®. Steaks may be cut into bite-sized pieces in Step 4. Combine 1/2 cup salsa, chile powder and 1 teaspoon cumin. Place beef Steaks and marinade in food-safe plastic bag; turn to coat. Close bag securely and marinate in refrigerator 6 hours or as long as overnight, turning occasionally. Combine 1 cup beans, remaining 1/2 cup salsa and remaining 1/2 teaspoon cumin in medium microwave-safe bowl. Mash with fork into chunky paste. Cover and microwave on HIGH 1 to 2 minutes or until hot, stirring once. Keep warm. Meanwhile, heat large nonstick skillet over medium-high heat until hot; remove from heat and coat with nonstick spray. Remove steaks from marinade; discard marinade. Cooking in batches, if necessary, place steaks in skillet (do not overcrowd) and cook 2 to 3 minutes for medium rare (145°F) doneness, turning once. (Do not overcook.) Remove steaks from skillet; keep warm. Repeat with remaining steaks. Spread bean mixture evenly on tortillas. Cut steaks into 4 pieces each and divide evenly among tortillas. Top beef with remaining 1/2 cup beans, tomatoes, lettuce, red onion, cilantro, avocado and lime wedge, as desired. Fold tortillas in half to serve. Cook's Tip: Steaks may be cut into bite-sized pieces in Step 4. Nutrition information per serving, using choice grade beef, 4 main dish servings: 478 Calories; 16 Calories from fat; 16g Total Fat (3 g Saturated Fat; 4 g Trans Fat; 0 g Monounsaturated Fat;) 66 mg Cholesterol; 450 mg Sodium; 56 g Total Carbohydrate; 13.6 g Dietary Fiber; 36 g Protein; 6.4 mg Iron; 8 mg Niacin; 0.9 mg Vitamin B6; 3.3 mcg Vitamin B12; 4.9 mg Zinc; 39 mcg Selenium; 92.9 mg Choline. This recipe is an excellent source of Dietary Fiber, Protein, Iron, Niacin, Vitamin B6, Vitamin B12, Zinc, and Selenium; and a good source of Choline.